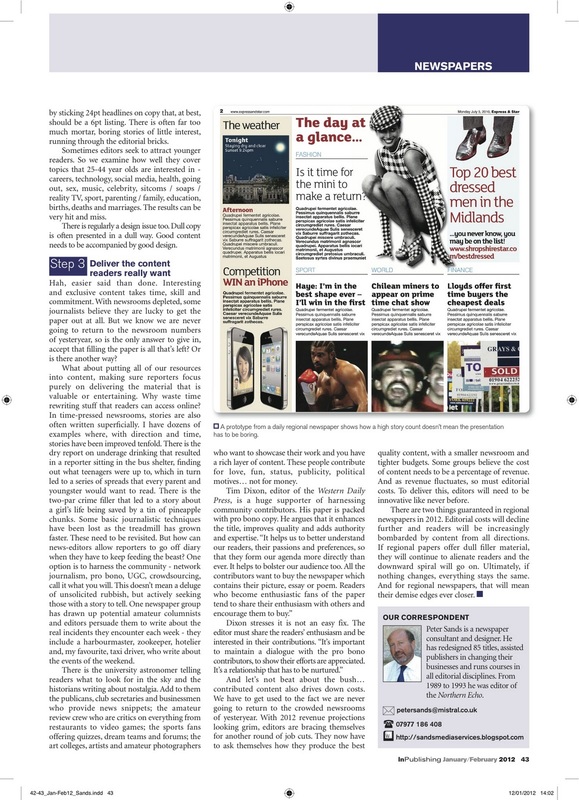 "There are two things guaranteed in regional newspapers in 2012. 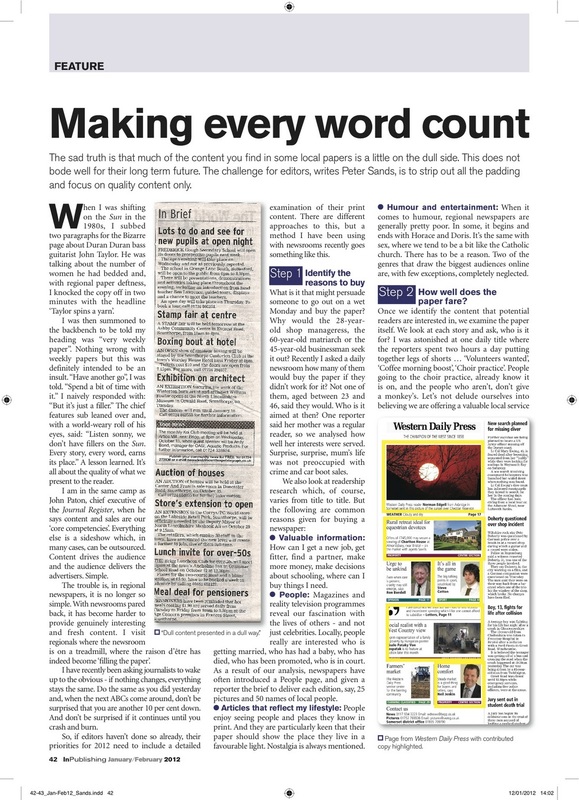 Editorial costs will decline further and readers will be increasingly bombarded by content from all directions. If regional papers offer dull filler material, they will continue to alienate readers and the downward spiral will go on. Ultimately, if nothing changes, everything stays the same. And for regional newspapers, that will mean their demise edges ever closer." This is the thrust of my latest article for InPublishing magazine. Should you be minded, you can read the whole thing here. 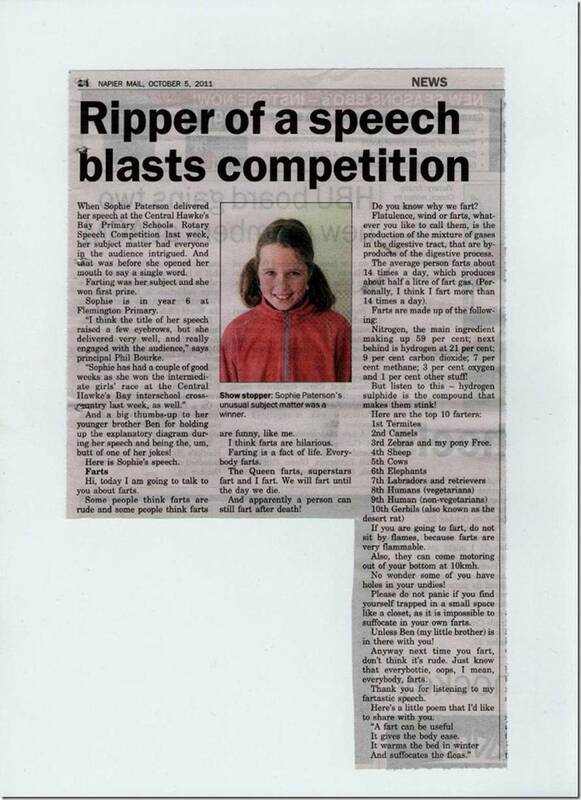 Just been sent this story from the Napier Mail in New Zealand by my old pal David Barrie. I have been banging on recently about the lack of humour and fun in regional papers ... so he sent this to say the Kiwi papers didn't have the same problem. It certainly made me smile. One of those rare tales where you really do read until the end? Schoolkids' essays and speeches - could be a rich source of content. Never mind the Olympics, why not enter the 2012 Typography Games? This Olympic style contest for designers looks like a challenge more suited to most of the people I know. 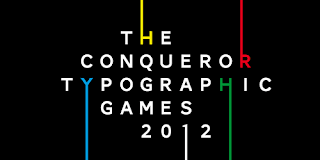 You have to design a typographical poster about sport using the phrase 'it's not what you win but how you conquer it'. Even if you don't fancy taking part, the launch video is definitely worth watching. Start putting together your best work from last year - the Regional Press Awards are back. The awards lunch will be on Friday May 25th at Savoy Place in London, so make sure you keep the date clear. It is with some regret, though, that I am standing down as chairman of the judges this year. My decision is partly because I don't have the time but mainly because I have taken a non-executive director's role with Northcliffe Media, so can no longer strictly be regarded as an independent. The job will be in safe hands with former Manchester Evening News editor Paul Horrocks taking over. Good luck to him. It was a real honour to have been chairman for the last six years. I have seen the awards run by the Press Gazette, the Wilmington Group, killed off for a year, and then resurrected by the Society of Editors last year. But through all the changes, the constant has been the high standard of journalism. Despite the economic ravages and the cuts, and against a backdrop of some elements of the Press being vilified, there are still regional journalists going the extra yard, delivering great stories, campaigns and investigations that really do change communities. My view has always been that the industry should throw its weight behind these awards. If we don't celebrate the excellence that runs through our newspapers, who will? That is why I took the chairman's role in the first place and why I will continue to help Paul, Bob Satchwell and the Society as they strive to make the awards a success. I hope the industry supports them too by encouraging its editors and journalists to enter. The entries will open on February 13 and details will be posted soon on www.theregionalpressawards.org.uk. I will still be around on the day to catch up with old friends and colleagues, buy drinks and save tipsy editors from walking in front of cars - but this year I won't have to field the polite and not-so-polite bar-room questioning over 'why didn't we win.' Over to you Paul.